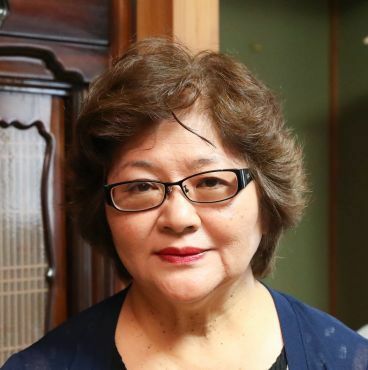 Mikiko Onaga, the wife of Okinawa Governor Takeshi Onaga who died suddenly on August 8 at the age of 67, had an interview of Ryukyu Shimpo at her home in Naha City on September 6. Mrs. Onaga said that right after Governor Onaga underwent surgical removal of his pancreatic cancer in late April, it was found that the cancer had spread to the liver. Governor Onaga had said, “I might not hold out until December,” while preparing his mind for death. He only told his family members about his cancer spreading, and continued work toward revoking land reclamation approval in Henoko, Nago City. Mrs. Onaga said, “I think he wanted to see the revocation through, himself. Governor Onaga, who held a press conference to announce revocation of land reclamation approval on July 27, hid the signs of his health decline such as not being able to walk properly. Mrs. Onaga said, “[My husband] used to say, ‘There are people laughing behind the backs of the Okinawan people on the right and left who are fighting against each other.